Kilkenny had a well deserved All Ireland final win over Tipperary at Croke Park on Sunday, winning the title by four points. 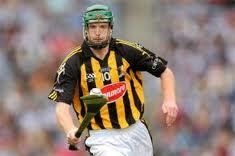 It was Kilkenny's fifth victory in six years and they were the better team throughout. They won by 2-17 to 1-16. Tipperary kept the game close enough but a strong finish by Kilkenny saw them score a critical point to leave four points between the teams. The legendary Henry Shefflin (pictured)made a winning comeback for Kilkenny and he was ably assisted by fellow veteran Eddie Brennan who set up the critical Kilkenny second goal. Kilkenny always looked the more committed side right from the throw in and took the game to the favorites Tipperary. In the minor game Galway easily defeated Dublin.